Well, Jack Eichel-mania is officially underway. The 2nd overall pick by the Buffalo Sabres just a few weeks ago is regarded as one of the best talents to come into the NHL since Sidney Crosby. And people really want to see what he’s all about. Tonight the Buffalo Sabres will host their Blue & Gold scrimmage for players attending their development camp. 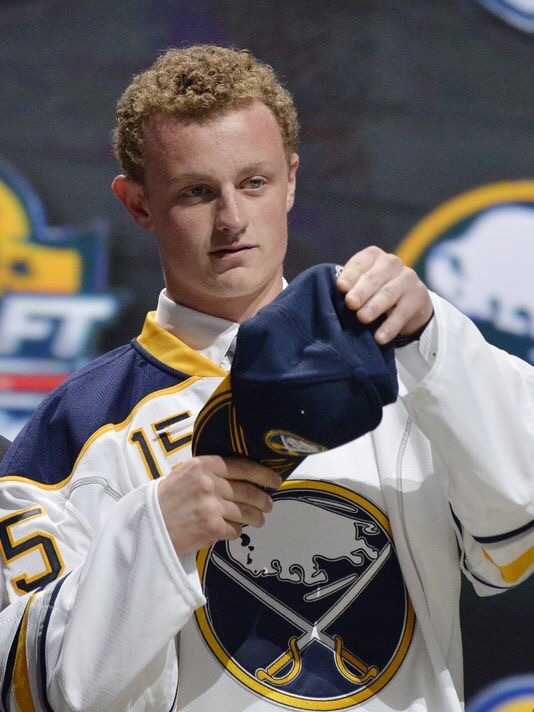 This will be the first time Jack Eichel, the Boston University standout, will play in a professional game atmosphere. According to Mike Harrington of the Buffalo News more than 10,000 tickets have been sold for the scrimmage. 10,000 tickets. And it could hit 15,000. For a practice. Now, Buffalo has always been a punchline in most areas. A middle of nowhere frozen tundra with “lake effect snow” that cripples the city. The Buffalo Bills earned their nickname “Boy-I-Love-Losing-Superbows” with Scott Norwood. “The Goal” Brett Hull scored in overtime took the Stanley Cup right out of Dominik Hasek’s weird hands. They did have a 2,000 yard rusher once though. His name is O.J. Simpson. Lucky them. But beyond all the jokes made and bad fortune that has come their way in professional sports and weather forecasts they are one of the best hockey cities in America. Period. Every year when Stanley Cup Final television ratings come out Buffalo is consistently in the top 5 markets that watch. And their team has never been close to getting to the Cup in recent years. The only way the Sabres were going to the Finals is if they all bought tickets like you and I. But they still watch. The city is just loyal to it’s hockey. And if Buffalo native Patrick Kane can’t play for the Buffalo Sabres then maybe in some way the hockey God’s are making up for it by dropping Jack Eichel right in their frozen lap. So Sabre fans should scoop up 10,000 tickets to a practice and enjoy a few frosty pints while watching the future in front of them. They’ve earned it even if it was earned by losing a lot. This is something to truly be excited about for a fan base that appreciates it. I just hope Eichel takes it easy on my Bruins over the next 15 years as he grows into what should be a fun to watch all-time NHL great. I was at training camp Tuesday, I’m not a scout by any means but you can tell when a guy has it together. He’s been a stud on and off the ice. Anyone looking for a winter getaway that doesn’t require skis or swimtrunks the hockey atmosphere in the Canalside district is unreal, not to mention Buffalo knows how to party. I can’t wait to pick up B’s tix when they go on sale.